Aluminum c-clamps are a strong and durable method to hang all your lighting fixtures. 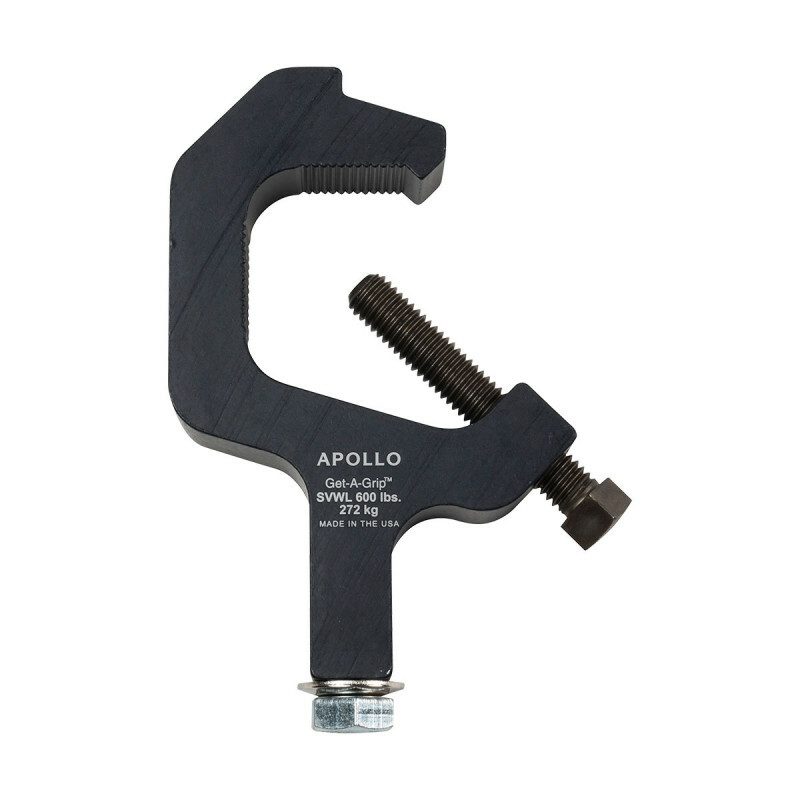 The unique design of this extruded aluminum c-clamp provides incredible muscle and the interior “teeth”, which grip the pipe, providing a strong and reliable hold. The clamp has roll form threads which provide additional strength and allow smooth backing in and out of the yoke. Dimensions: 5.78" x 3.79" x 1"
Schedule 40 Pipe Size: 3/4" – 1 1/2"